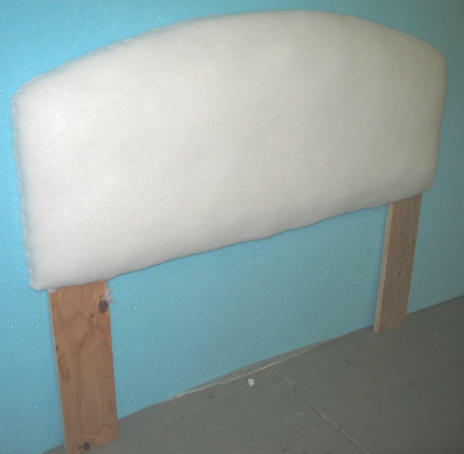 Foam headboards are a beautiful, inexpensive alternative to custom upholstered headboards. 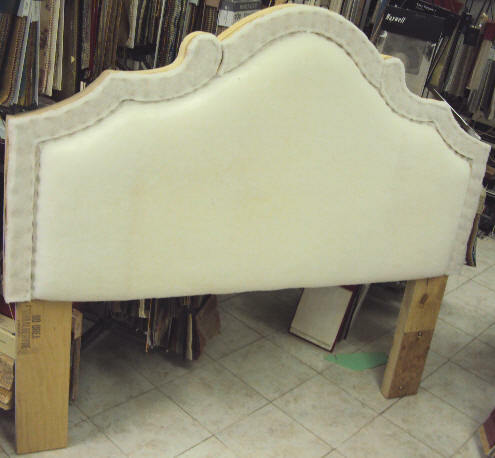 Create your headboard in different styles. 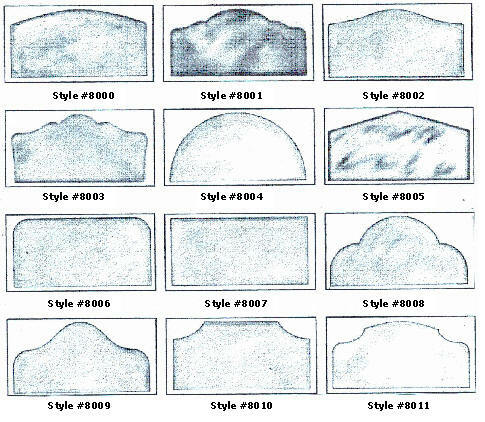 You can create an infinite variety of looks to fit any room or style! 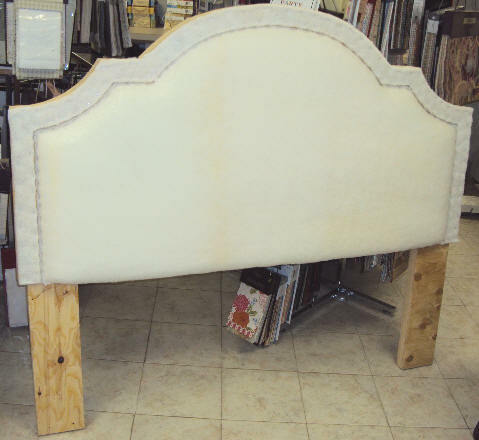 Create your own style headboard, and have a stunning fashionable look to your room! 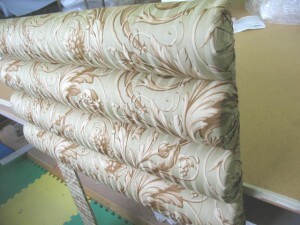 It is easy to upholster and install. 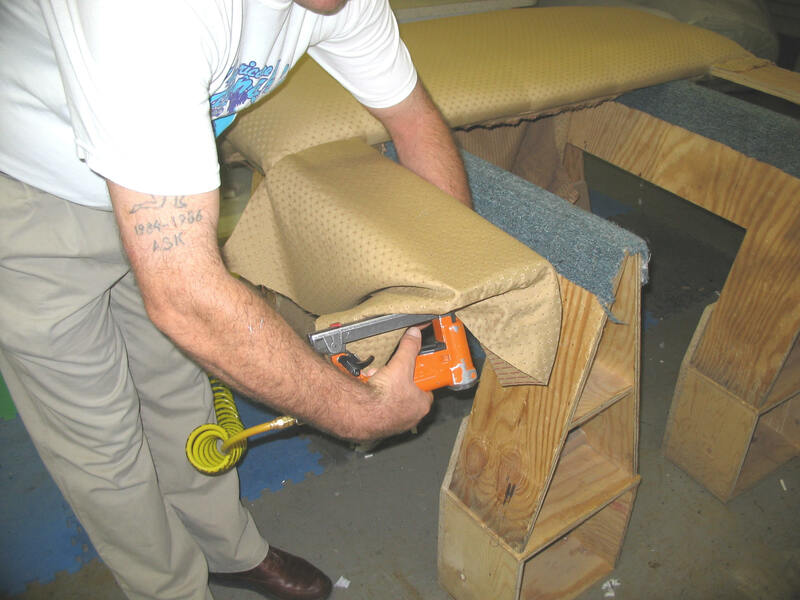 Ask us today how you can get started! 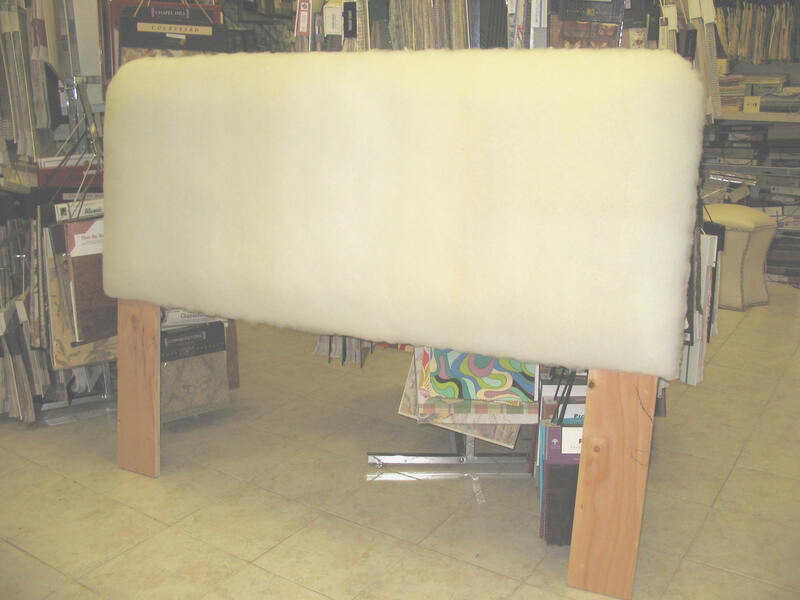 All headboards comes with the five foam channels (D-Style Bolster) 6” wide x 3” Thick, wood, and screws. 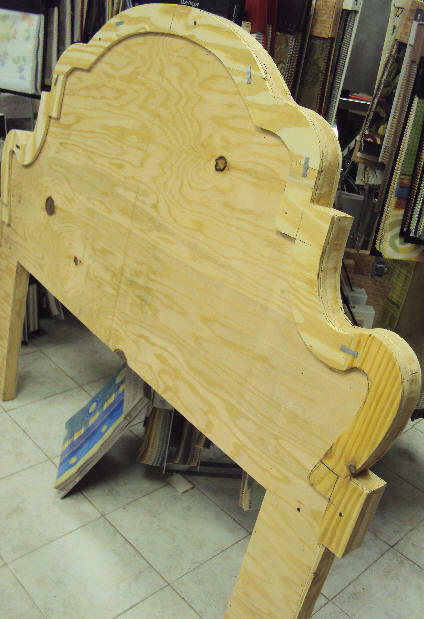 All headboards come with screws, fold in half, and the legs come apart for easy shipping. 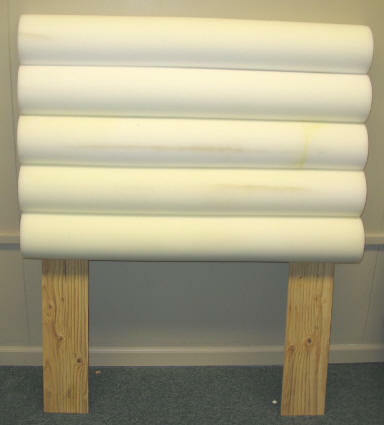 Front & Back View Of The Finished Product. 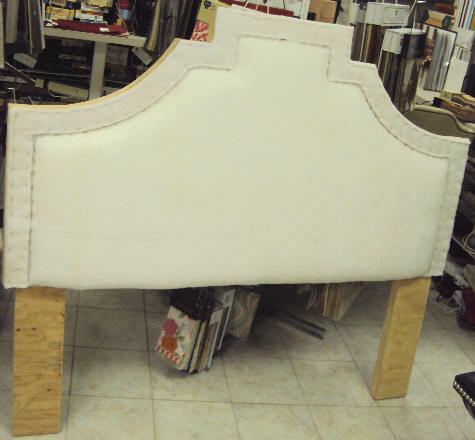 Headboards can be put together first before applying the fabric to the headboard frame. 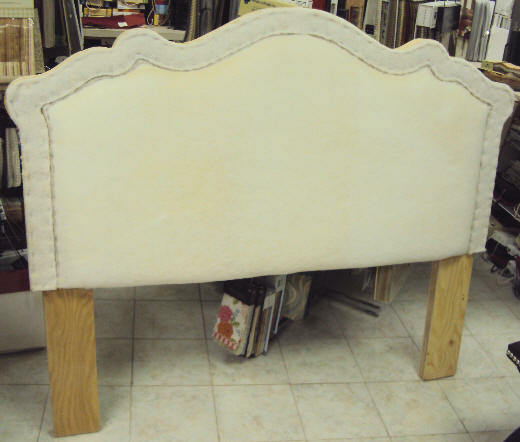 Please note: Headboards can be upholstered with a hot glue gun, staples, or upholstery tack nails. 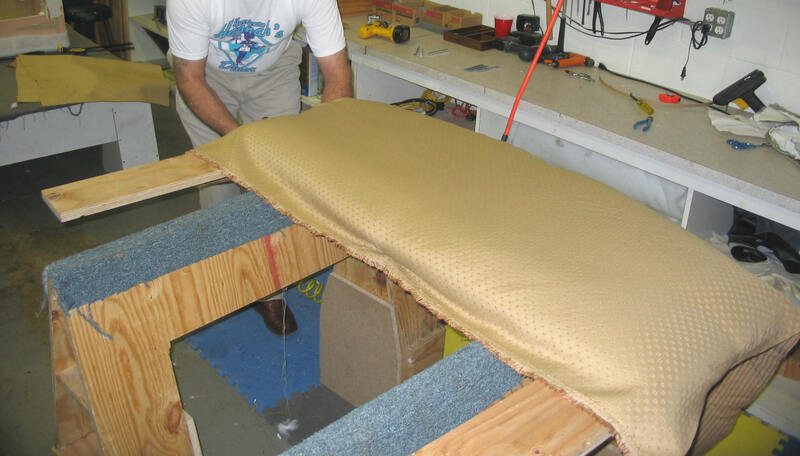 To install the fabric on to the wood, pull the fabric tightly to the back of the panel and staple in place. 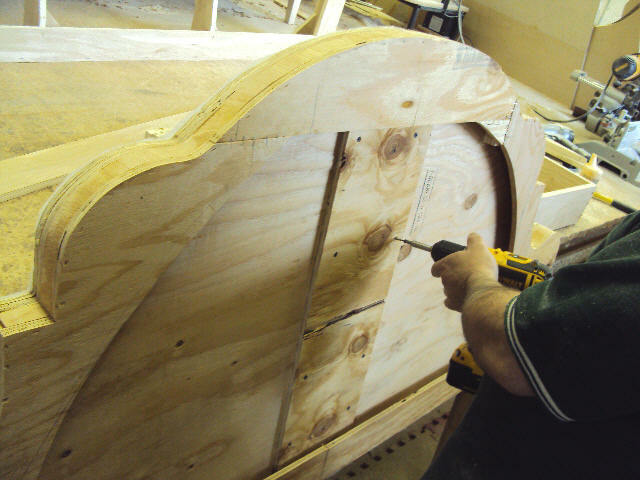 Start with a few staples in the center and work your way out from the center. 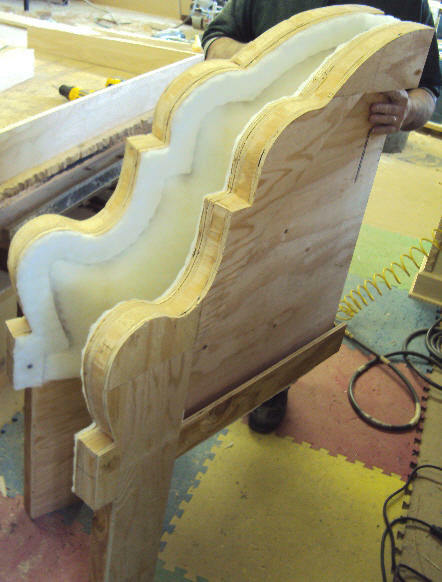 Continue by pulling opposite sides and stapling in place. 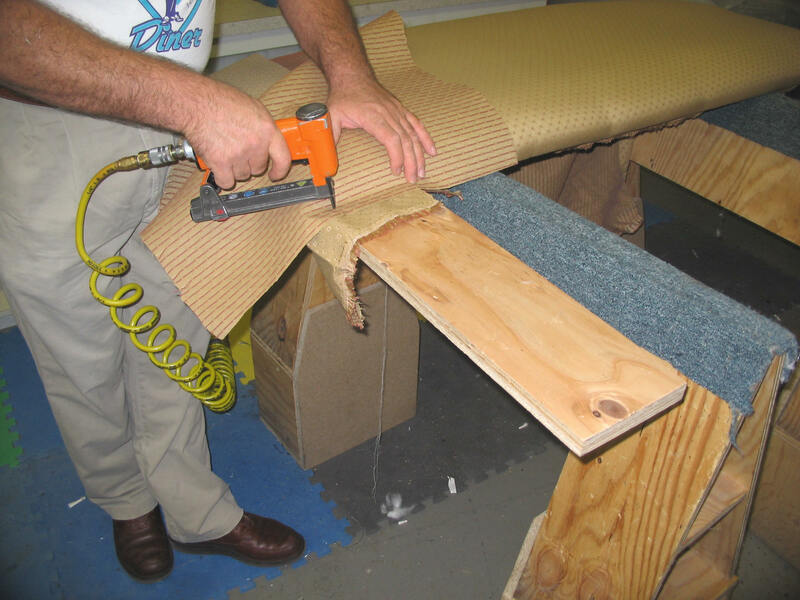 Staple with 1/4-inch staples every 2 inches. 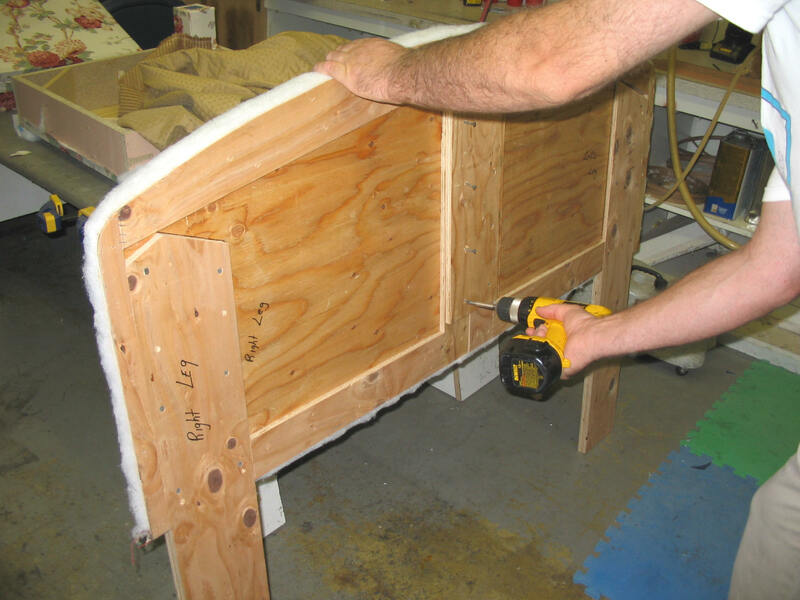 Trim off all left-over material with a sharp utility knife or scissor. 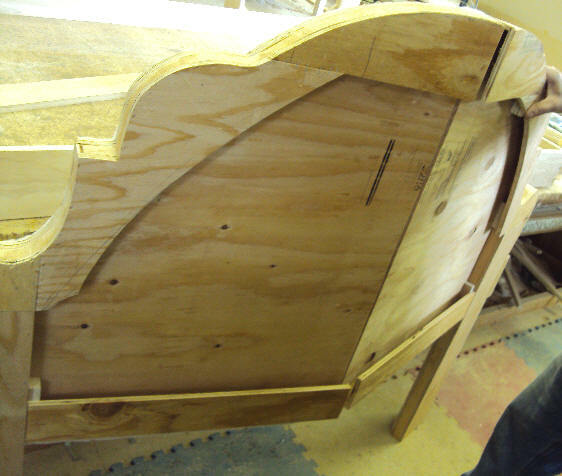 Then lay out the wood panel and bolsters before upholstering the headboard together. 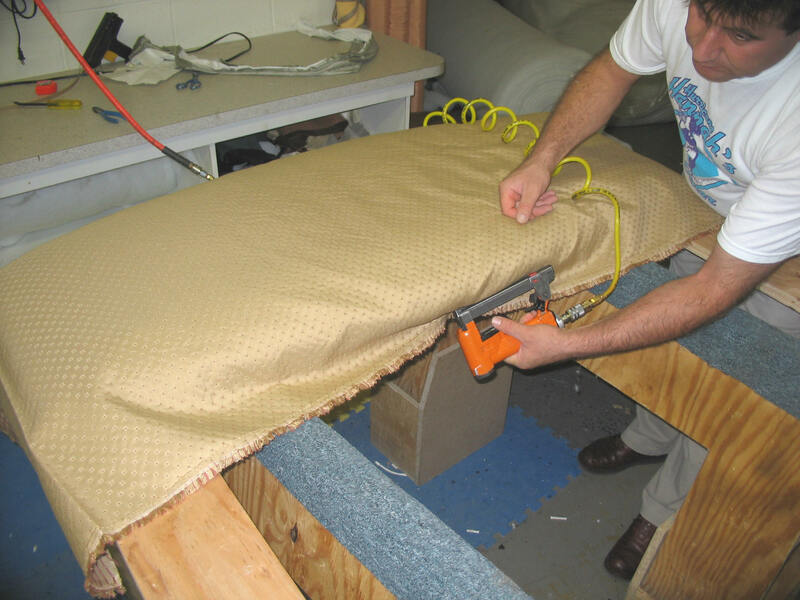 Please be sure to give us a call or send us an email with any installation or upholstery questions you may have. 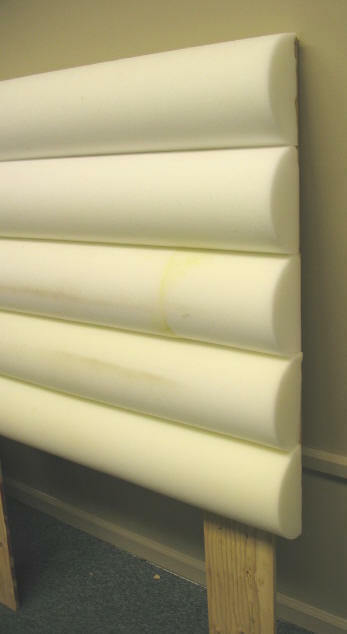 For a gathered effect: Add 3 inches extra to the width and double or triple the length of your fabric strip, depending upon the amount of gathers you want. 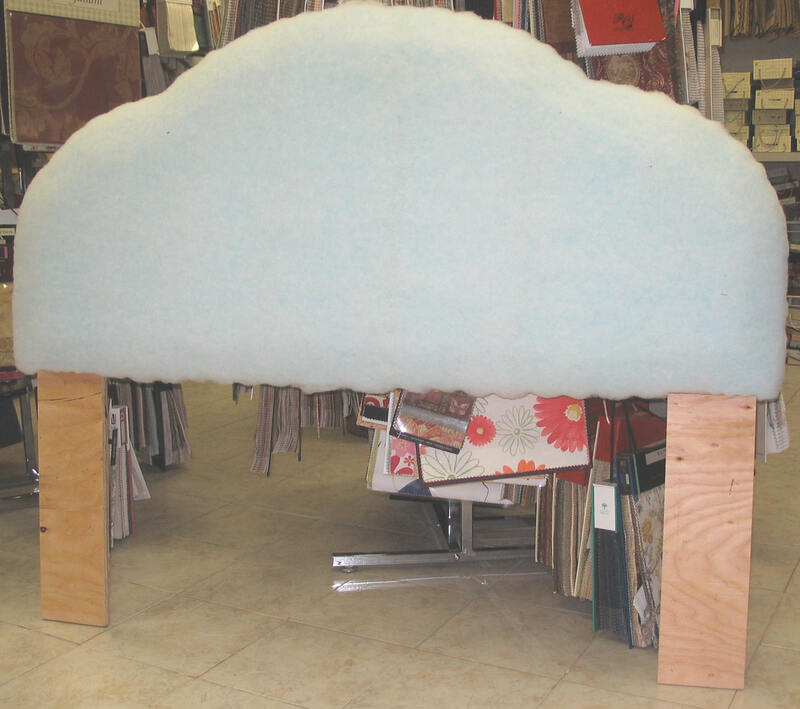 If you should run out of fabric or need to start the next piece DON’T PANIC! Simply fold the next strip of fabric over and lay it on top of the first strip. Continue gathering as you have been doing until completed. 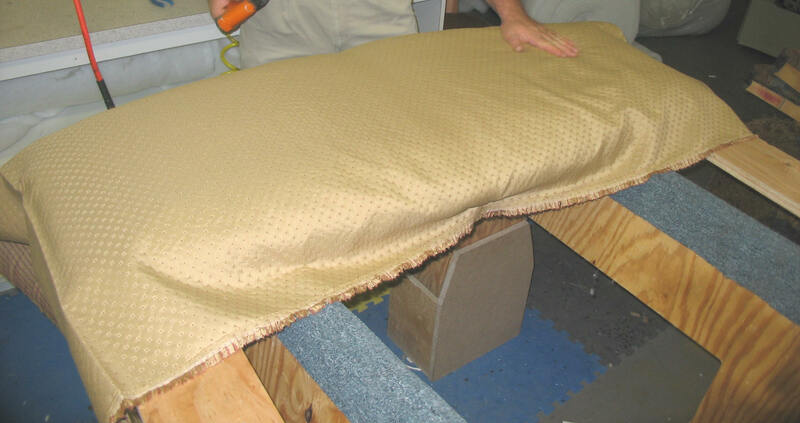 Tip: The fabric should be sprayed with Scotchgard™ to protect the fabric before installing it on the headboard. 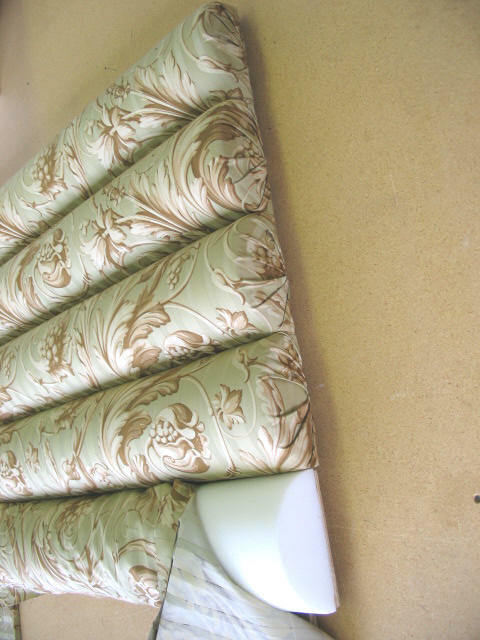 You can always remove the staples if you want a different look or need to have the fabric dry cleaned. 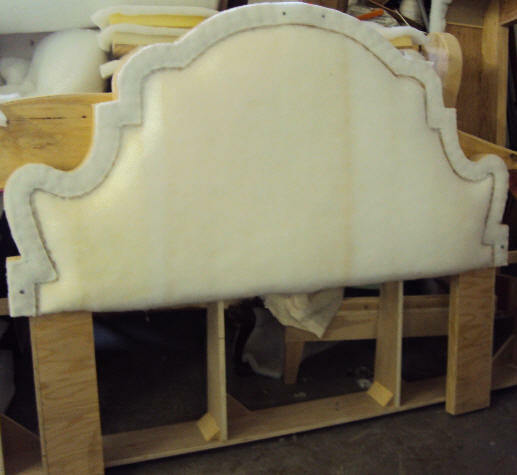 * Please look below for some examples of how to assemble the headboard. 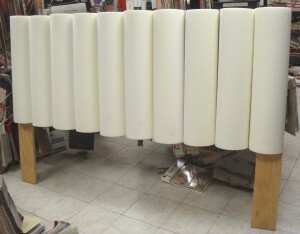 Back View Of The Finish Foam Product Before Putting Fabric On. 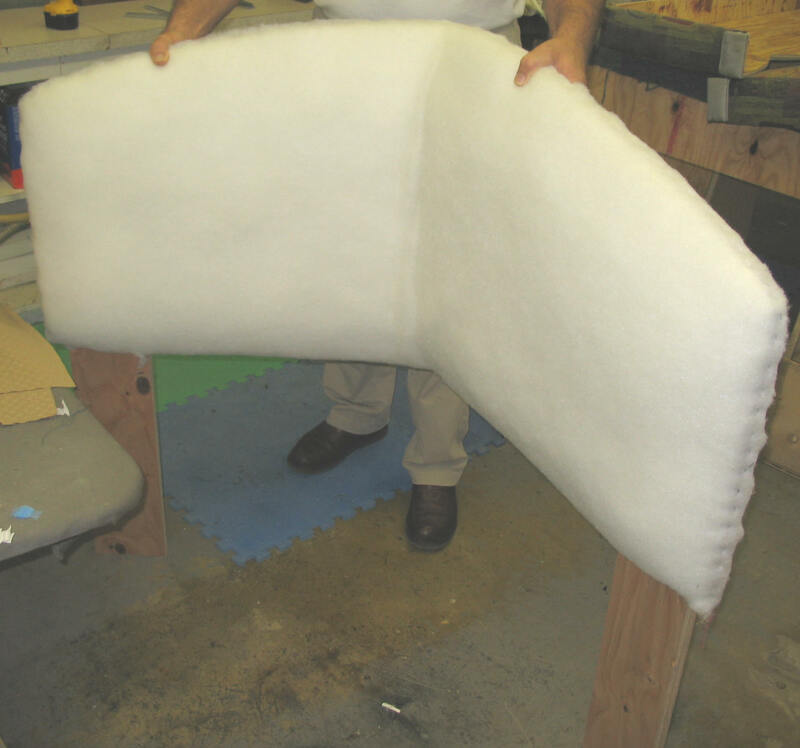 Side View Of The Finish Foam Product Before Putting Fabric On. 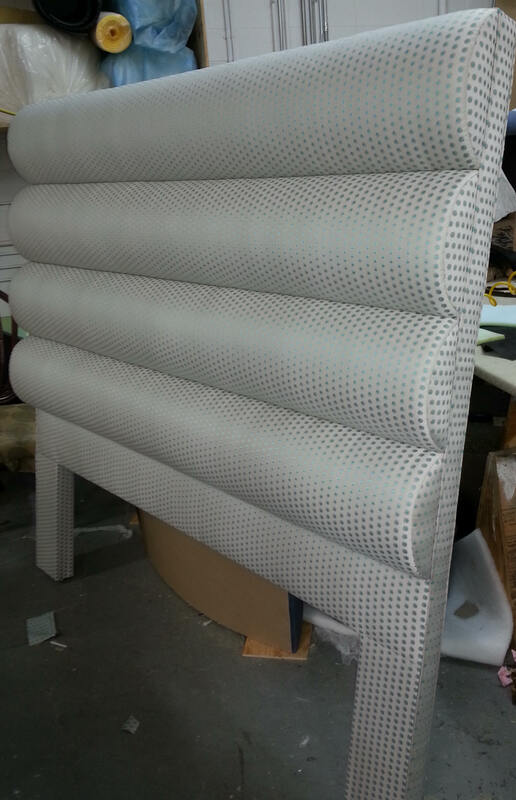 12″ cut strip fabric to upholster the channel tubs. 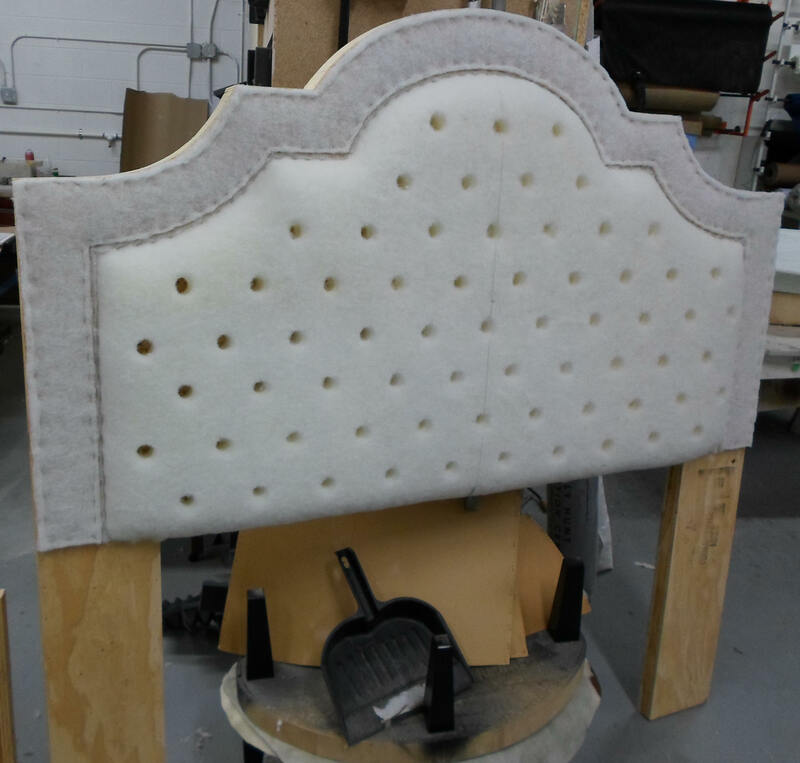 Headboard can be upholstered with hot glue gun, staples or pins. 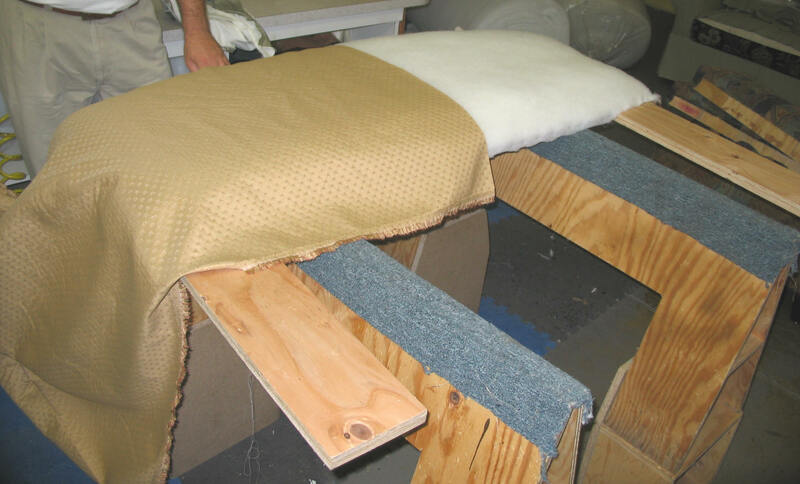 Please see below for our helpful chart for headboard assembly and upholstery instructions. 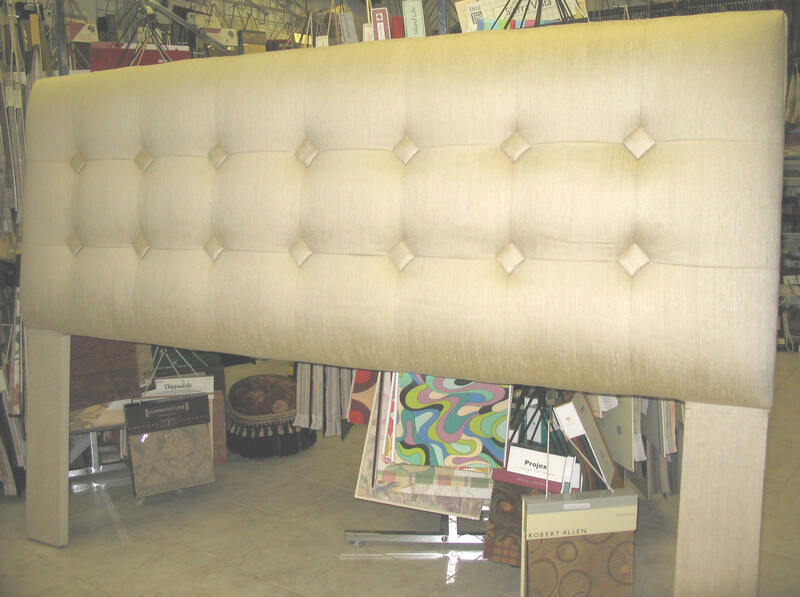 Headboard can be put together first before installing the fabric. 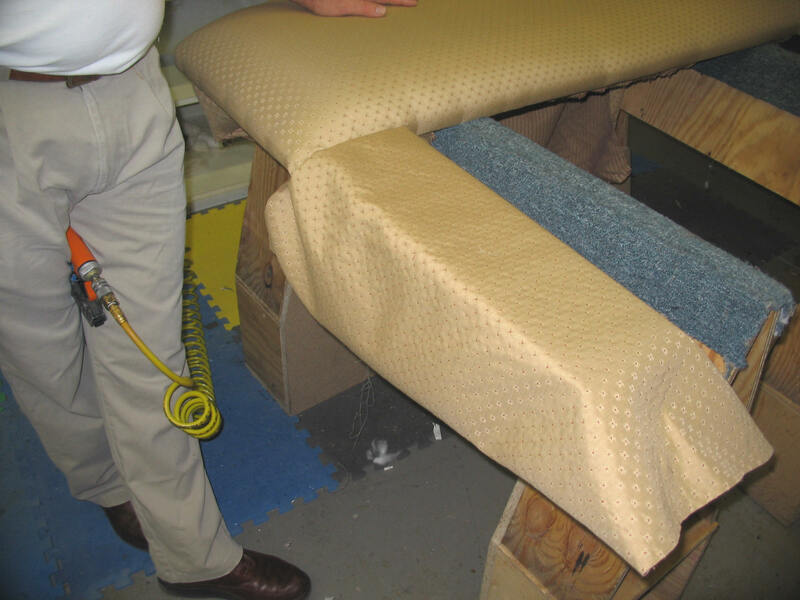 the fabric tightly to the back and top of the panel and staple in place. 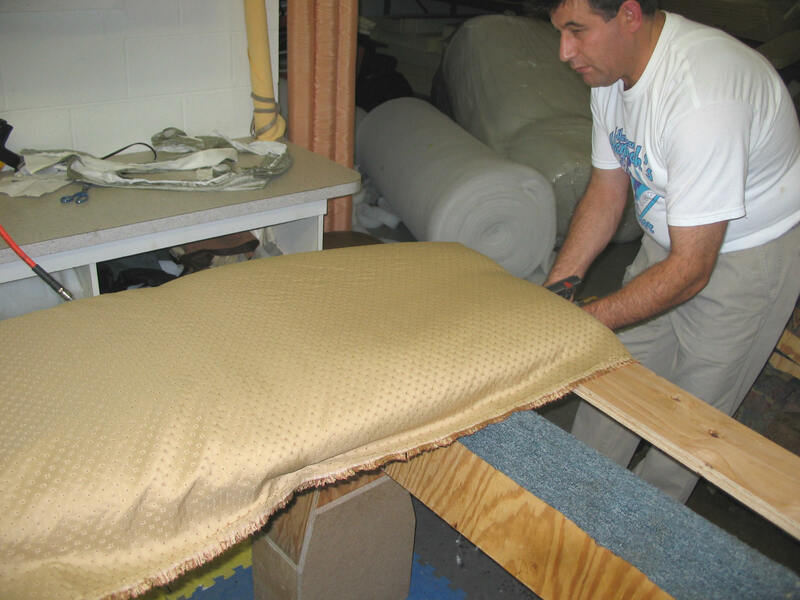 Continue by pulling the fabric tightly to the left and right side of the headboard, then work your way out from the center. 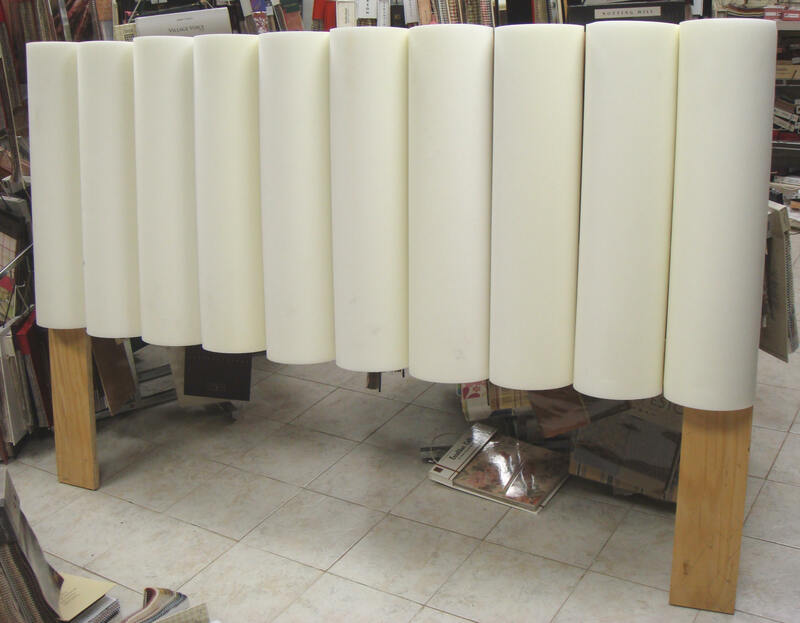 Cut strip of fabric 15″ x 24″. 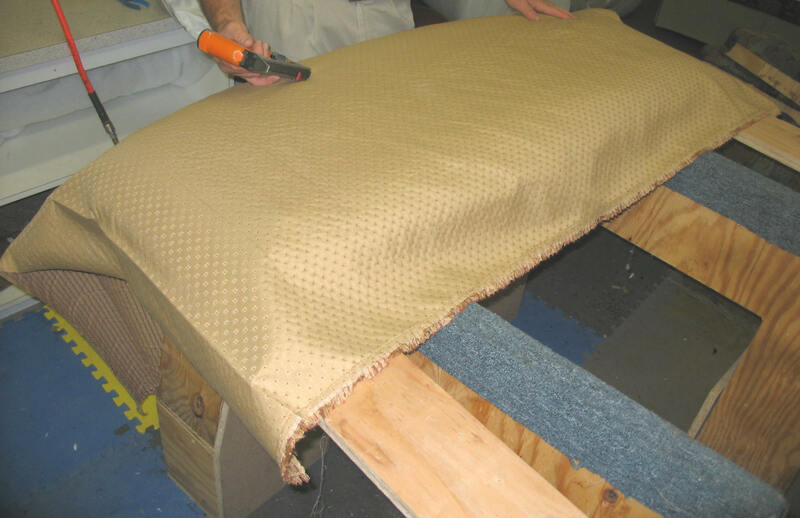 Place the fabric in the center of the leg and pull the fabric tightly to the back and staple the fabric in place.